We provide window cleaning for all types of residential houses. Hi, we are Lewis and Nina Baker. We provide a family run, professional, friendly, reliable and trustworthy window cleaning service to all our customers. We clean anything from mobile homes to mansions, shop fronts to the largest glass buildings in the area. 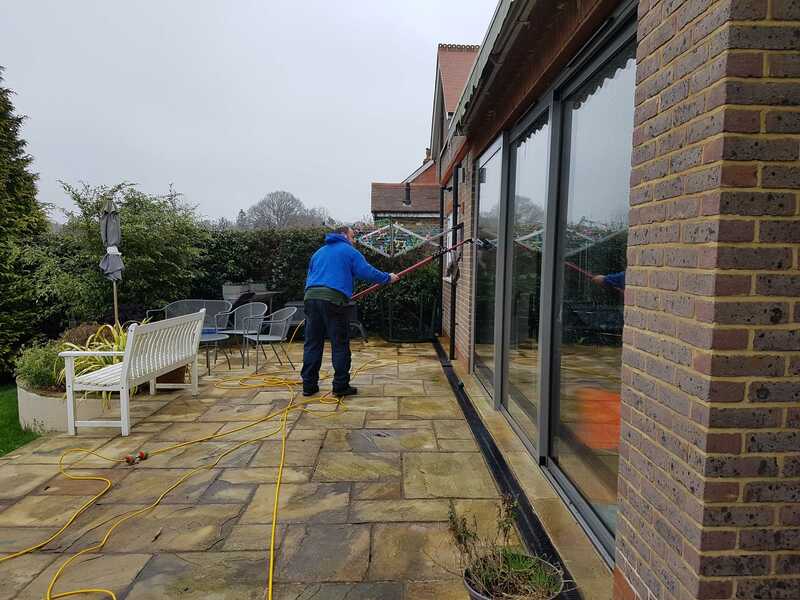 We use the latest and safest window cleaning techniques such as high reach pole systems and use Reverse Osmosis and De-ionised water which dries without any residue leaving your windows streak free every time. Included with this technique is that all frames and sills are cleaned every time something which quite often would cost extra with traditional methods. 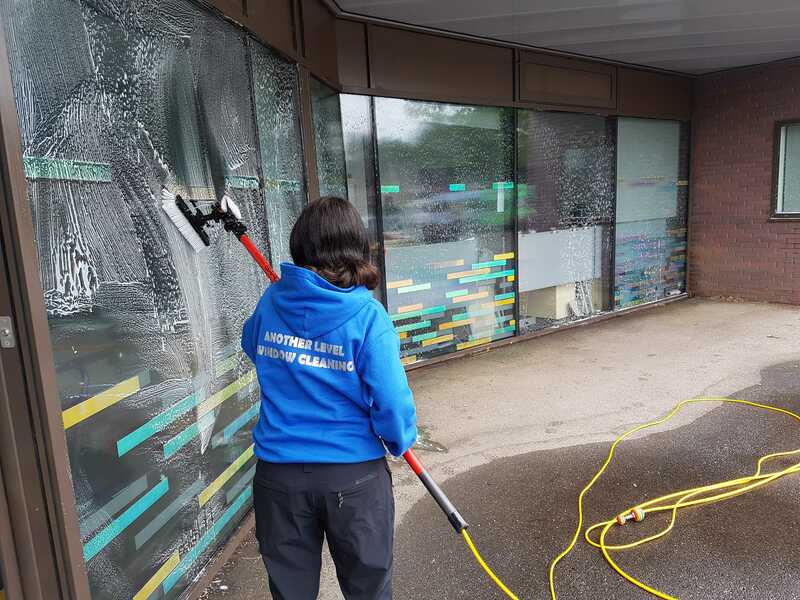 We offer traditional cleaning, particularly for interior window cleaning and the commercial market where use of water could be a safety factor. 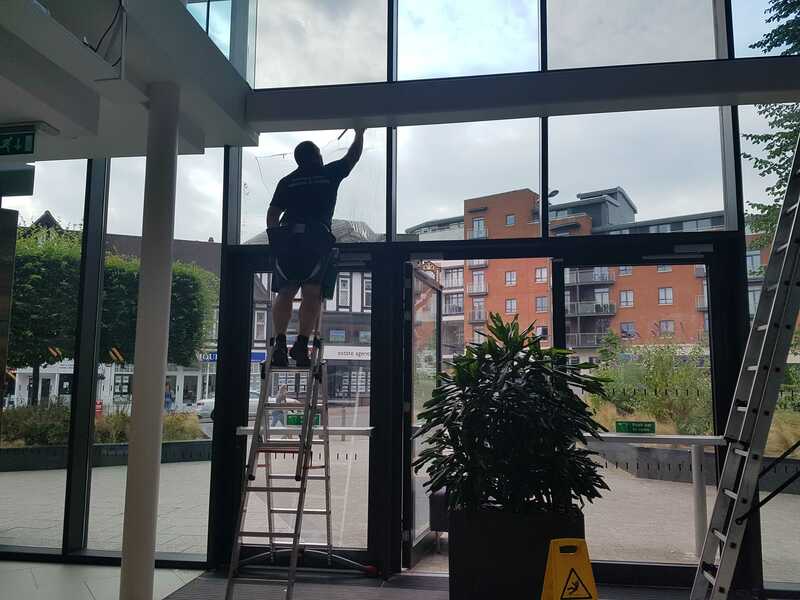 We are Fully qualified and insured with public liability and insured for damage to the glass itself. We also have qualifications in Health & Safety, rope access and elevating work platforms for those areas that seem near impossible to reach! We do an awesome job at a competitive price and we will clean exactly what we quote for, we don’t cut corners we clean them! We provide another level of service, reliability and cleaning for your windows. Are you fed up of random employees you don’t know from big companies turning up unannounced or jumping over your gate? Worried about unknown people cleaning the inside of your windows? We do all our domestic work ourselves. We always offer to give a txt, call or email the day before to let you know and give notice to unlock the gate. We are fully uniformed and customer satisfaction is always the aim for us. We do an awesome job at a competitive price and we will clean exactly what we quote for, we don’t cut corners we clean them! Our guarantee: We are so confident in our work if you are not satisfied with the work and its our mistake we will happily come and do it again for free! We schedule your visit in our system. We come and clean your windows. We provide easy ways for you to pay. Get in touch with us to arrange your free no obligation quote!